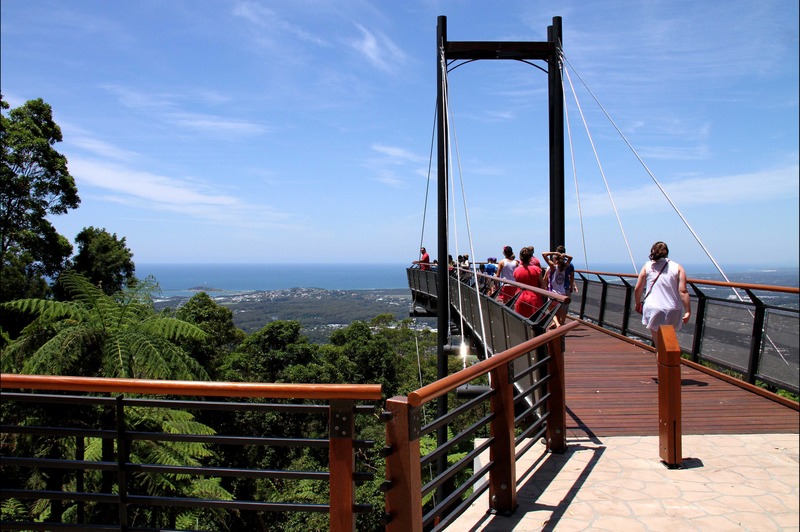 Sealy Lookout is located within the ecotourism-accredited Bruxner Park Flora Reserve in Orara East State Forest, and is home to the award-winning Forest Sky Pier. 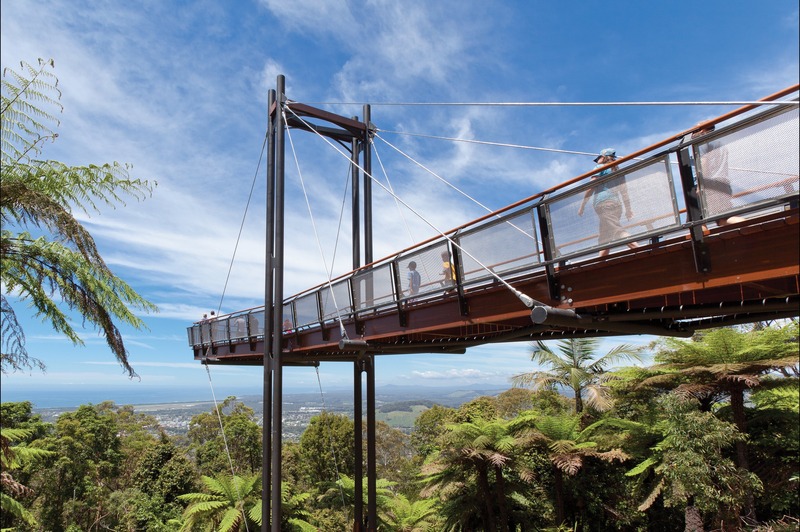 The Forest Sky Pier is a unique way to experience the Coffs Coast and mountain views. Located on an escarpment 310 metres above Coffs Harbour and only 9km from the city centre, it projects 21.6 metres beyond the original lookout and offers an expansive vista encompassing Coffs Harbour city, its foreshore and marina, Solitary Islands Marine Park, surrounding mountain ranges and the coastline far into the distance. On a clear day you can see 100km to the south. Adjacent to the Forest Sky Pier, a fully-accessible picnic shelter is available for those wishing to sit, have a cuppa and enjoy the view. 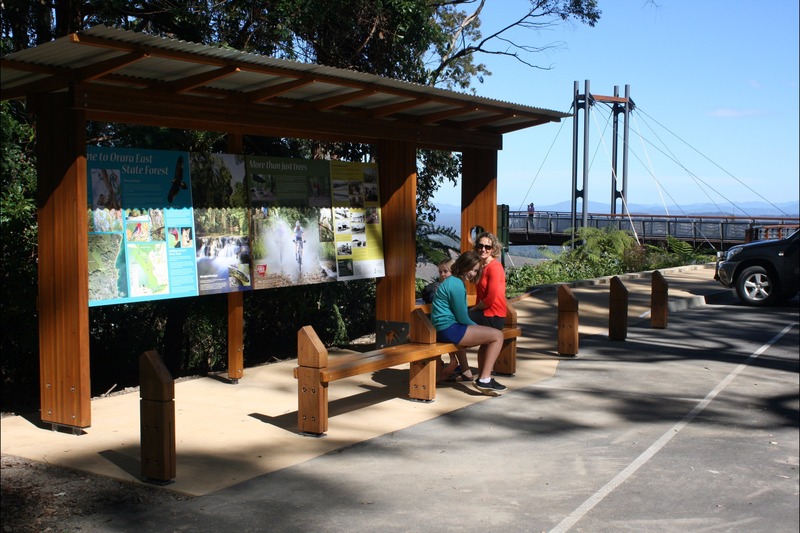 Forestry Corporation works to continually improve visitors' experience, adding facilities such as toilets, picnic tables and the Gumgali walking track with its indigenous story trail. The popular TreeTops Adventure Park is also located close to the lookout. From Coffs Harbour, head north on the Pacific Highway for 5 minutes, then take the Sealy Lookout turn-off and follow the sealed road through hillside banana plantations and avocado groves to the lookout turn-off. Lookout is open daily until dusk, and entry is free. We have accessibility information and photos. We cater for people who use a wheelchair. *Forest Sky Pier is wheelchair friendly and accessible with a fully-accessible picnic shelter and table. Amenities are accessible for wheelchairs.